The first phase of the FAME scheme was initially implemented for a two-year period, starting in April 2015. However, instead of rolling out Phase Two from April 2017, the government has been extending the first phase repeatedly, consequently delaying Phase Two by nearly 20 months. The government seems to be struggling with its EV and hybrid vehicle mass adoption policy, as it has once again extended the first phase of the FAME scheme. This extension, in effect till March 2019, is the fourth one in the past two years. The second phase of the scheme, which was scheduled to be announced in April 2017, is now delayed by almost 20 months. Moreover, the government continues to remain silent on the types of subsidies that will be provided under the scheme, leaving EV manufacturers in the lurch. To promote the adoption of electric vehicles (EVs) in India on a large scale, the Central Government has further increased the subsidy budget of the scheme by Rs 100 crore, taking the total to Rs 895 crore. On numerous occasions, the central government has stated that EVs are the way forward to reduce India's oil import bill and also to achieve zero-emission. However, the infrastructure to support such vehicles, be it in terms of building charging stations for end-users or providing subsidies for EV manufacturers, continues to be shrouded by uncertainty. Despite an unpredictable future for electric mobility in the country, large-scale manufacturers are not shying away from investing large sums into their electric vehicle development programs. 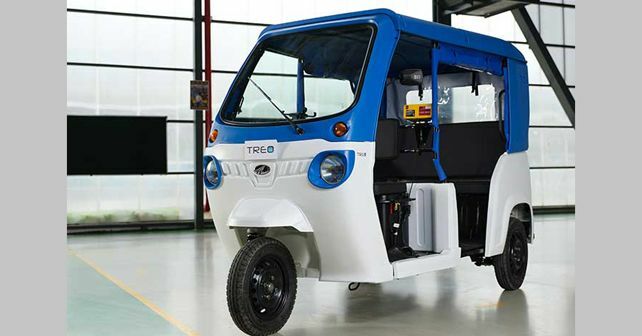 Recently, Mahindra Electric made it to the news as it announced a Rs 700 crore investment in expanding its plant in Bengaluru and rolled out the Mahindra Treo, its all-electric three-wheeler model.